Working with the Shared Interest Foundation we created a bespoke animation promoting the work they do in providing support and training to co-operatives all over the world. 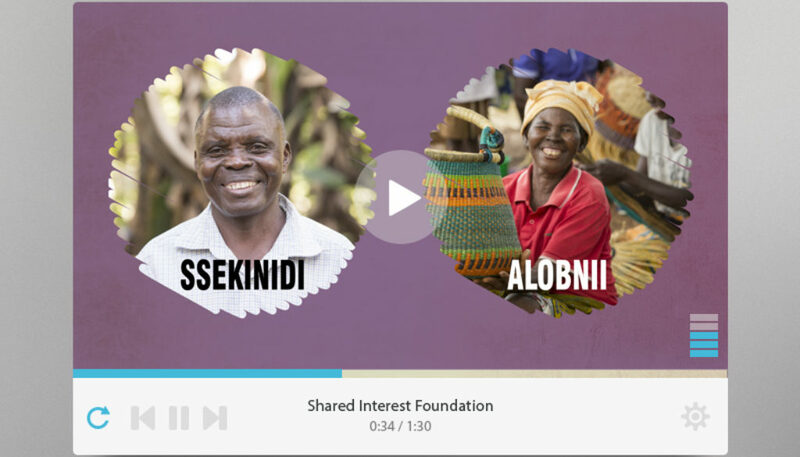 Focusing specifically on cocoa farmers and basket weavers based in Swaziland, the animation explains how Shared Interest Foundation helps members and workers in need of vital business support create a better future by earning a fair wage and working their way our of poverty. This means their income is improving, they can pay for health care and send their children to school.